1) A10 Direct Cable (66268-03) – The A10 direct connect cable is an economical way to connect H series headsets to certain telephones that have an RJ9 headset jack, such as Nortel, Mitel and NEC. Please contact our sales team at 800-914-7996 to determine if your phone can use one. 2) HL10 – Tired of being stuck to your phone, even with a wireless headset? The HL10 handset lifter gives you the freedom to roam and answer your calls anywhere within the operating distance of your headset. 3) M22 Amplifier – The latest edition of their most popular amplifier incorporates the newest technology for most new phones sold. Designed to work with over 90% of all phones being used today, the M22 gives you excellent voice and hearing control. 4) 72442-01 – The HIS cable is designed for specific Avaya model phones. It allows you to connect your headset directly to the phone without the need of an amplifier. Give us a call at 800-914-7996 to see if you qualify for de-cluttering your desk. 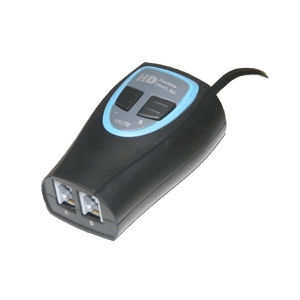 5) 03929-63 Wireless training Adapter – An easy way to link two wireless headsets for training purposes, this model is made specifically for resellers. Dealers, get your customers connected to improve their ability to train their employees.